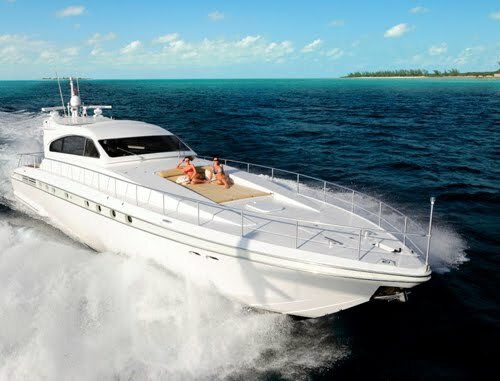 80' Leopard Motor Yacht PF Flyer now available for charter in Florida and the Bahamas. The Master cabin has a king size bed, shower and toilet. A convertible wall in the salon turns into a cabin that accommodates two additional guests on the convertible sofa and Pullman berth above.